What kind of phone do you use? In our house, we are loaded down with apple and android products. It seems impossible to have only one electronic device. Everything is rechargeable and digital these days. A few years ago Aron made the switch from an android tablet to an iPad. He loves the operations and fast output of the iPad better. For his birthday, I surprised him with a new iPhone. This is the first gift I've gotten him that didn't lose the excitement after the first use. Every time he does something new that he couldn't do with his old phone he still parades it. It makes me so happy to have gotten him such an awesome gift. All new devices come with their own chargers which are awesome but when you are on limited space, extra chargers make it frustrating. Whether it is in the car or in the house, less cords are better. I just got the dual iPhone/iPad charger for his and he's ecstatic! That means he can charge them both, fast! One thing I have seen with a lot of multi chargers is the speed that they charge the devices. It seems like one side will work better if two things are plugged in or they will charge equally as slow which is no good. This charger doesn't lose speed with the two heads. 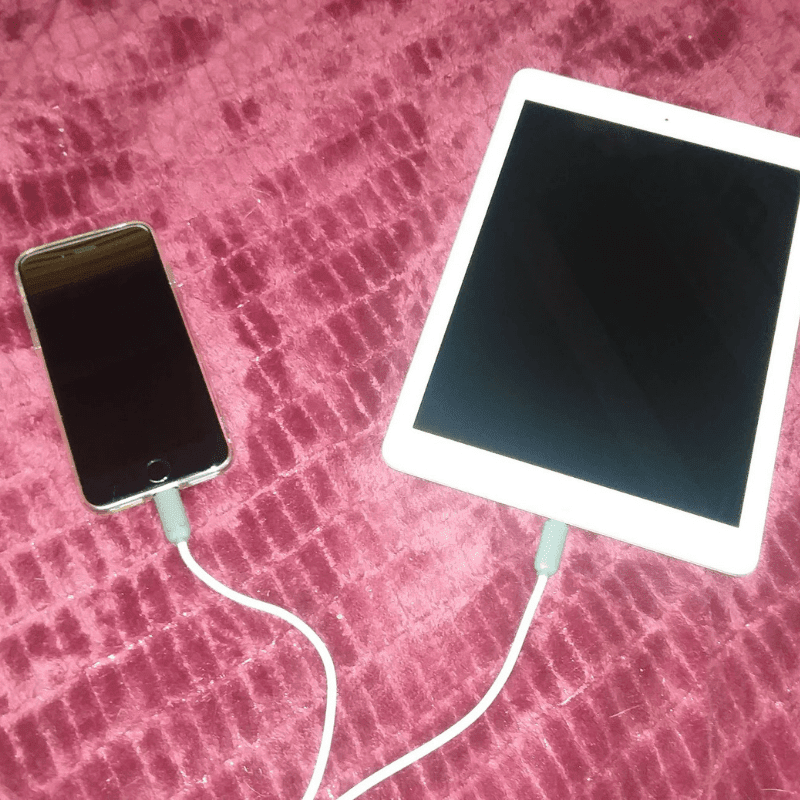 Both devices charge at an acceptable rate AND he can use them while they are charging and not lose battery life. Yes, I have had chargers that do that. It comes in several color options, I chose twilight for mine. This is the perfect charger for traveling. A dual 12v plug can easily turn into a quad charger with 2 of these cables. 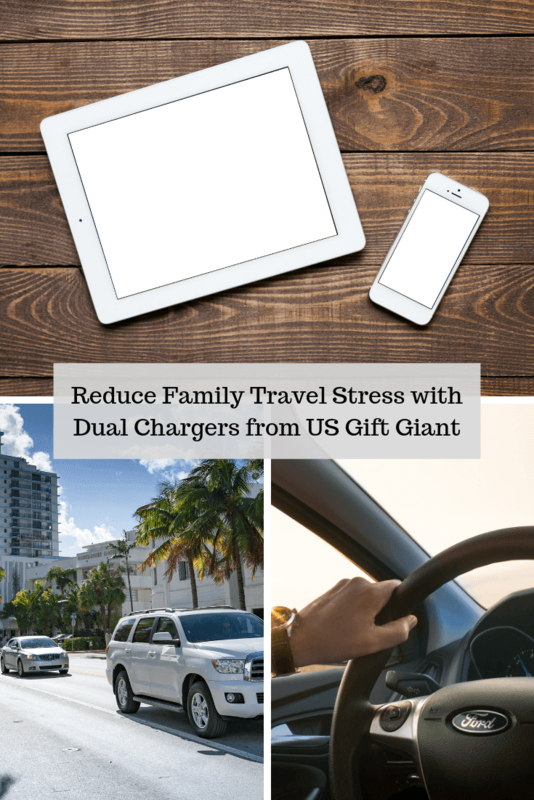 Have you had to travel with kids/teenagers? Do you know how frustrating it is with 4 kids and only one charger source in the back half of the vehicle? With second and third row seating and stretched cords all over the place, it's a disaster. These guys are ruthless! I have seen the kid in the back hold the cord behind the seat, with her toes, as if it is plugged into the port with the right tension and sneak her cords into the outlet so she could charge her phone instead. 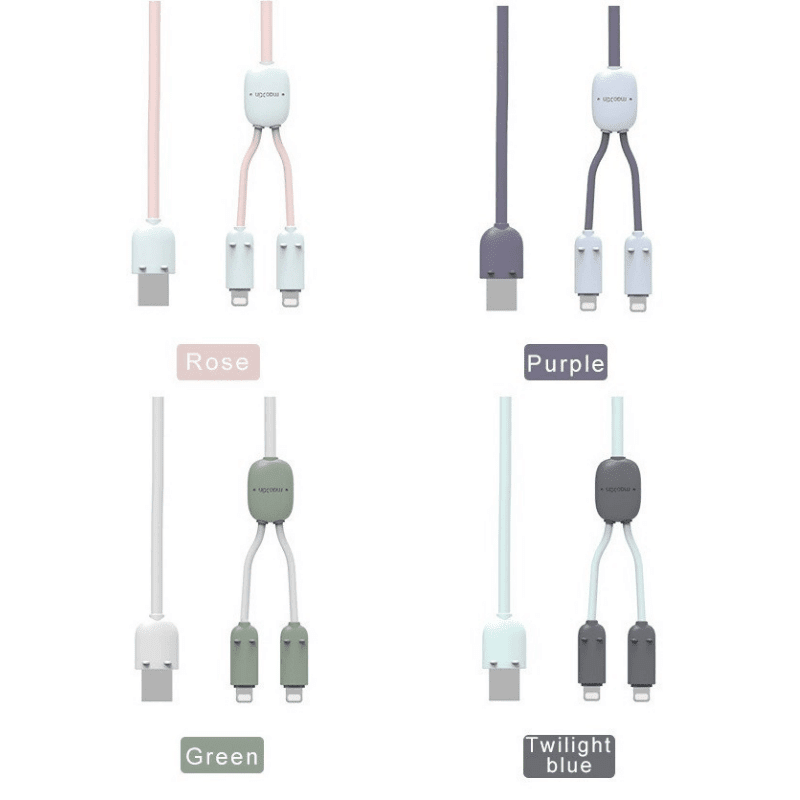 With dual ended cables like these, charging two devices at once is the perfect travel companion. For the civil human beings in the front of the vehicle, we have a dual outlet one for me, one for Aron. I have an android powered phone so my charger is safe. He has an iPhone and iPad so he is constantly switching out the devices. With the dual charger from US Gift Giant, he doesn't have to swap them out at all. I received this product for free or a reduced price to facilitate this review. If you have any questions please feel free to email me directly.